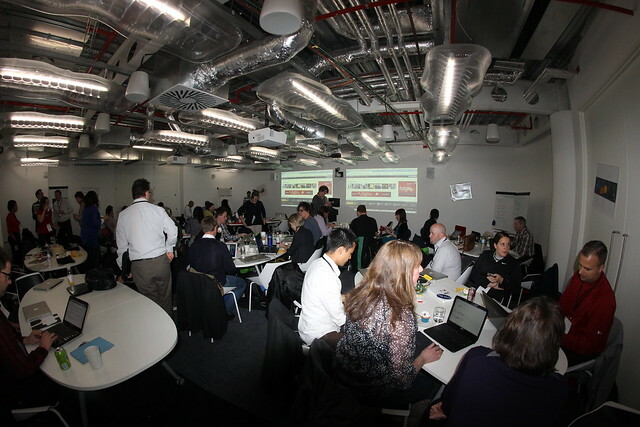 Those of you who know me or who have been following my blog for a while know that I was invited to participate in the Google Teacher Academy (#GTAUK) held last spring in London. This news seemed to set off a whirlwind of movement and opportunity in my professional and personal life that has just begun to settle down long enough for me to blog about it all. With the next GTA coming up in a few weeks, I thought it would be a good time to share what I learned for those who are looking forward to attending or applying for the next cycle. At this point I have several teacher-friends who have applied to attend the academy and did not get accepted. This makes me feel honored and lucky to have been chosen. I have also been asked about my application, and the all-important video. My advice for the app is simple: answer the questions. Period. I know that this seems pretty obvious, but it can be very easy to get off topic or on your soapbox, so be sure to go back and check that you have directly addressed each question as thoroughly and succinctly as possible. I also saved my answers to a Google Doc and shared them with friends to proofread and revise. When it comes to the video, be bold, have fun, and most importantly, do something different. Lots of teachers are doing great things in their classrooms–how can you present what you do in an unforgettable way in only one minute? One interesting idea that I picked up from Google was their “80/20 rule”: Googlers (Google employees) are expected to spend 80% of their time at work “on-task” while they get 20% to use however they want–sleeping, playing video games, whatever. The idea is that when you give people time to do their own thing, they are more creative and ultimately more productive. I would love to see how this would play out in a classroom–I may try it this year! The best thing about the Google Teacher Academy is the networking, which I anticipated, but had no idea how awesome it would be. I was so inspired by the educators I met and attending overseas gave me the added bonus of being surrounded by teachers from around the world. I met YouTube guru James Sanders, who has an extensive library of videos that he has created for his own students. He also curates the YouTube EDU page where tons of free educational content is available for teachers and students. Hanging out with James and my team leader Jim Sill, another videographer extraordinaire, was a crash course in video inspiration. I was also enthralled by Tom Barrett, one of the first British Google Certified Teachers (GCT), who wowed us with a “transmedia” presentation, using a broad variety of Google tools to tell a story about his son. I had never seen anyone seamlessly integrate so many web tools in such a short time in a way that seemed so natural and effortless. Everything that I learned and was inspired to do manifested itself in the math rap video I completed with my students and peers when I returned from London. Like Tom, I used a broad variety of tools to teach and entertain: Google Docs to collaboratively write the lyrics, Final Cut Pro to produce the video, Google Sketchup to create the 3D graphics, Keynote and GeoGebra for the slides and animations, and Garage Band to produce the song. I also enlisted many teachers and students to participate in this project, realizing that collaboration makes good ideas great. The video turned out to be a culmination of most of my knowledge about video production, presentation tools, collaboration and of course, teaching mathematics. It was greatly enhanced by the people I met and the things I learned at GTAUK. This post wouldn’t be complete if I didn’t tell you about how much I enjoyed my trip to London. It was a life-changing experience that I will never forget. This was my first trip out of the country with the exception of a cruise to Mexico. It was also the first time I traveled solo–no family, friends or co-workers to fly, share a room or just hang out with. If I had to do this trip all over again, I wouldn’t change a thing. Since I didn’t know when I would get to go to London again, I scheduled my trip several days before the Google event to give myself some time to enjoy the city. I was even able to find a relatively cheap train ticket online a few weeks before I left, so I took a day trip to Paris, too! I spent quite a bit of time taking in the great museums of London, which are all FREE! I saw the Rosetta Stone at the British Museum, bringing to life something that I’d only seen in history books. I also enjoyed the Egyptian exhibit there, where I spent hours gawking at scores of beautiful, ancient sculptures. I began my visit with a photo tour that I scheduled with Photo Walks of London, owned and operated by Ian Hardy. Setting this tour up on the first day of my trip was a real treat. As a new owner of a real camera, it was well worth it to not only learn how to use it from an expert, but to also get some amazing postcard-worthy photos of two of the most beautiful cities in the world! I will leave you with a collection of videos that I made for my students while I was abroad…they include updates math, and lots of photos that I cannot believe I took myself! Enjoy!